While playoff baseball is in full swing and after the epic collapse of the Red Sox and the Braves, I couldn’t help to think on how it seemed impossible for those two teams to collapse and how I get to watch bonus baseball with the Brewers making the playoffs for only the 2nd time in my lifetime. Then… I was sent this video via email. My first thought is… WOW! Then reality sets in… there is no way someone could do this. Sure once, maybe twice, but no way could someone do this for 45+ seconds. Or do it with 2 balls simultaneously. I have been trying to find a definite way to prove it, but can’t. The balls don’t seem to always hit the same spot on the 1st pitchback. The balls do seem to take the same path around the other 3 though. And at the end of the video, I never see either of the balls come down (although they may be so far out there that they haven’t come down yet). This video reminds me of a few others from recent years. Is it real? Ya, probably not. In fact, I believe it was a clip created for a Gatorade commercial a few years ago. Last is this one which is eerily similar to the previous one. That one is actually… real. The Hiroshima Carp player actually made that play during a game in 2010 and then he followed it up with an even better one that same season. The pitcher and even himself couldn’t believe he made that second catch. Hopefully we get the chance to see some equivalent displays of defense and offense as in these videos in the next few weeks of MLB playoff games. Enjoy the extra baseball everyone as we will soon be left with 4 dark months of no games (but most likely one of the most entertaining off-season transaction periods in the past 20 years). Billy Ray “Rojo” Johnson, a Texas native raised in Venezuela, has made a name for himself already. Recently having his prison sentence commuted, he has learned his lesson of smuggling illegal reptiles into the US. Now, he has righted his ship and has been given a second chance (here is a video of his early career) from a baseball organization that also needs a second chance… The Houston Astros. He got his first look at the major league level (well, AAA level) on Thursday May 6th vs the Brewers AAA Affiliate, The Nashville Sounds (what an awful team name… Fear Us!! For we are the Sounds!!). Tonight was a big night in baseball. Ubaldo Jimenez pitched the first no hitter in Rockies history. The Mets and Cards went to the 20th inning before a team waved the white flag and gave the win away. But screw all that sports stuff you can find on ESPN Sportscenter, I try to bring you great baseball stories that you can’t find anywhere else. I would say that most of you know I’m a die hard Brewers fan. I live or die with each Brewers game (more dieing than living). Most boys growing up start with great sports figures posted on their walls and eventually trade those in for Marilyn Monroe or Cindy Crawford posters. Instead, I kept my Brewers posters plasted on my wall proud to be part of a team that couldn’t break 0.500. And one of those posters was of Pat Listach, the Brewers shortstop of the early nineties winning rookie fo the year in 1992. He was one that I idolized (until he became a Yankee). I found this video clip of what Pat Listach is currently doing, and first I cried a little for Listach after seeing he was now in the Nationals affiliation that has been giving the Brewers major fits this year. Then I died a little inside when I saw he wasn’t a Lady GaGa fan (come on, everyone is a GaGa fan. Even Cartman from SouthPark sings “Poker Face”). Seeing him shun the Phillies Phanatic is like driving a stake through my heart. I’m not sure what was worse, this or finding out that the Cookie Monster isn’t real. However, the dager to this video is seeing how many people pull out their iPhones to video tape this act… I’m not part of the iPhone cult and really want to be. The Cards finally went out and made the greatest signing in MLB history. They have the best player currently playing the game in Pujols, but with no protection behind him in the clean-up spot, Pujols most of the time gets pitched around and walks to first. They tried Holliday, Molina, Ankiel, Ludwick, but none of the Cardinals 4-hole batters could scare opposing pitchers enough to pitch to Pujols… Until now. 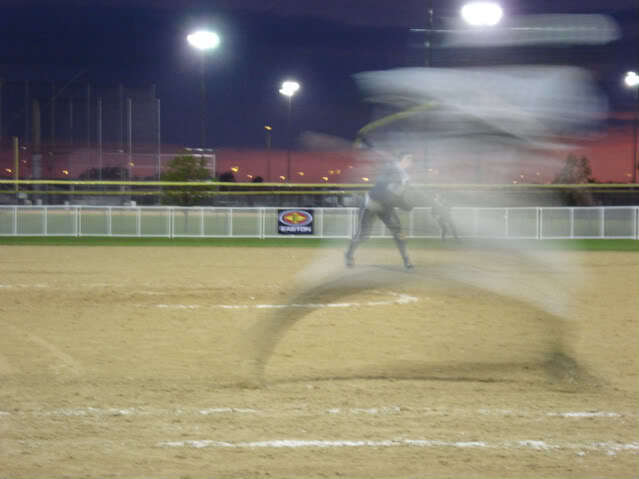 Introducing the newest St Louis Cardinal… Ghostrunner. That’s right, Pujols can now get the protection he needs in the line-up because batting behind him… is Pujols. Since Pujols is on-base 90 percent of the time, Ghostrunner gets to take his spot on the base paths while Pujols gets to swing the bat again. Ghostrunner is also a menace on the base pathes. He only advances when forced and the majority of the umpires can never get a good angle on the play to call Ghostrunner out. This is a monumental move and will allow the Cards to dominate the majors until Ghostrunner’s younger brother, PitchersHand, signs as a starting pitcher. Current frontrunner’s in the PitchersHand signing are the Brewers and Cubs.